Sgt. Lyle G. Adair of the 111th United States Colored Troops joined the thousands of Union prisoners when part of his regiment tasked with guarding the rail lines between Tennessee and northern Alabama was captured by Confederate cavalrymen. Adair, who had first enlisted in the 81st Ohio Volunteer Infantry at the age of seventeen and later became a recruiting agent in the 111th, spent the remainder of the war being shuffled from camp to camp as a prisoner of war. By the war’s end, he had been incarcerated in five different Confederate camps: Cahaba, Camp Lawton, Blackshear, Thomasville, and Andersonville. 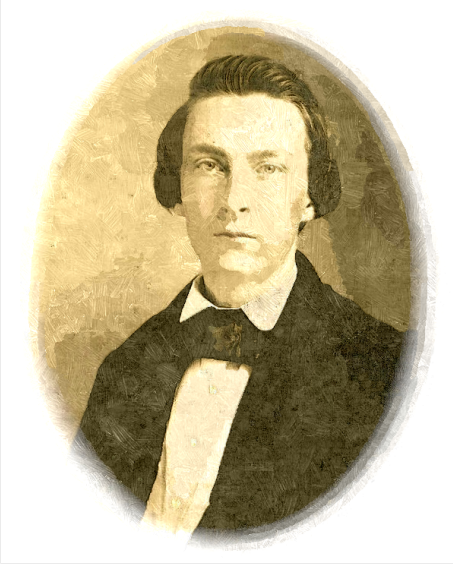 Lyle’s uncle, Samuel Lyle Adair (1811-1898), was a Congregational missionary in Kansas Territory before the Civil War and an ardent abolitionist. He was married to Florella Brown — a half-sister of John Brown. 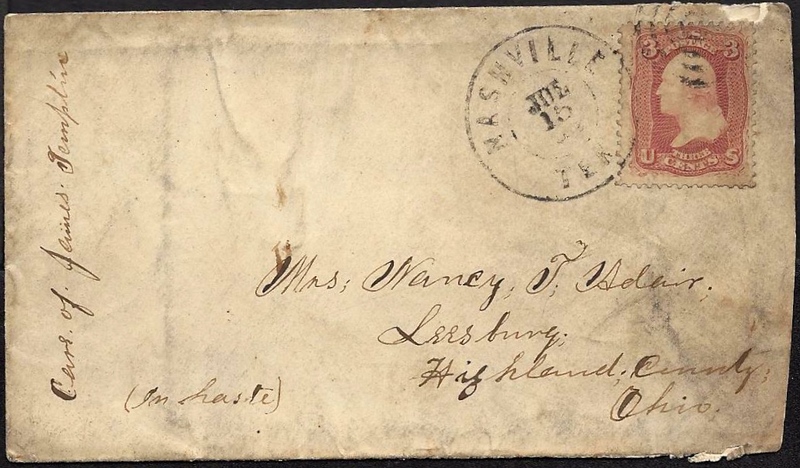 Lyle wrote the letter to his widowed mother who seems to have been residing with her half-brother James Scott Templin (1813-1901) of Leesburg, Highland County, Ohio. James’ wife, Harriet Malinda Wright (1822-1854) died in 1854 leaving him with three children to raise: Emma, Joanna, and Newton. 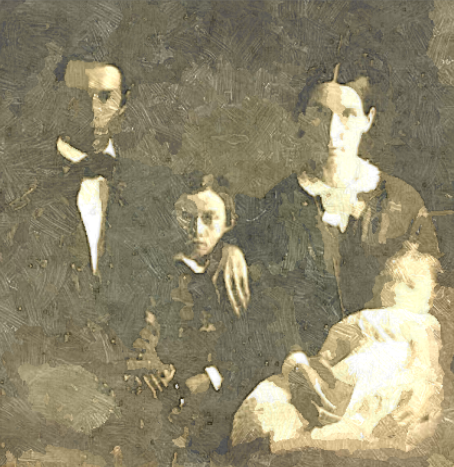 Lyle married Josephine Temple (1848-1916) in 1868. Your welcome missive of the 6th inst. came to hand this evening. Was happy to hear of your being well and enjoying your visits so much. Your letter found me enjoying good health although two days ago I was very sick. But I have come around all right again. We have had very wet and showery weather for the past week. The thunders are muttering in the west now and it looks as if we were going to have a storm soon. I spent the Fourth very pleasantly indeed. In the morning I got a pass to go out into the country where I enjoyed myself highly in the society of some of my Rebel lady friends. They were very, I assure you. They are very anxious for the extermination of the Rebels if that will stop the war. Well, as I predicted, the storm has commenced in all its fury. The winds just more than makes the dust fly through the streets. The winds blow everything so I will stop writing for the present. After the rain. Well I have had a good nap while the rain was falling. I did not get much sleep last night as the camp was alarmed several times by picket’s firing and we had to get out in line and stand about an hour every time. But they proved to be false alarms so it ended by the men being arrested for creating false alarms and confining them in the guard house. It is real provoking sometimes to have to fall out when we are sleeping so soundly and all for nothing too. I do not mind being called up when there is any danger or any cause for it. I sometimes think they go to sleep and suddenly wake up and imagine they see a whole corps of Rebs marching down on them and blaze away — perhaps at a stump or a cow or hog or something else of the kind. Last week on Wednesday night a young man — a citizen — was murdered in cold blood two miles from here. On Thursday morn, I went with Col. [William H.] Lathrop out there to inquire into the affair. It was a sad sight to see how he was shot to pieces just for his money. The act was committed by men in federal uniforms supposed to have been citizens. There have been several cases of like nature by the same band lately in the vicinity. Hanging would be too good for such men. The same day some citizen had the audacity to come to our beef lot and drive out some twenty head of beef cattle and drive them off (the cattle were just outside the picket line]. Co’s B & C followed them some four miles and got the cattle back but did not get any of the men who drove them away. Well, the rain saved us from Battalion Drill this evening as we have drill every evening at three o’clock and drill two hours. I got a letter from Lena yesterday. They were all well when she wrote. Were looking for Sylvanus home in a few days. Tell Emma that I would like to accommodate her with that photo but I have none on hand and no chance here of getting any taken. I intend getting some the first opportunity. Tell her I should like to have her for a correspondent if she would be so condescending as to write to a contraband. My love to Uncle James, Emma, and all the family for I do not know how many there are. I was glad to hear the letters reached you all right and hope this will also. This entry was posted on Wednesday, October 1st, 2014 at 8:29 pm	and posted in Uncategorized. You can follow any responses to this entry through the RSS 2.0 feed.